Intellectual property is one of the highly divisive issues in contemporary philosophical and political debates. 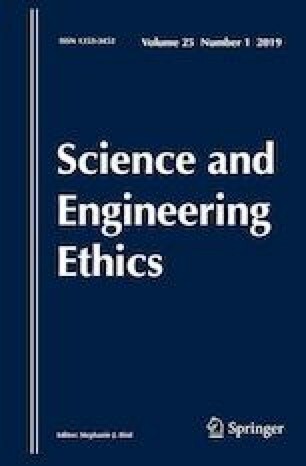 The main objective of this paper is to explore some sources of tension between the formal rules of intellectual property (particularly copyright and patents) and the emerging informal norms of file sharing and open access in online environments. We look into the file sharing phenomena not only to illustrate the deepening gap between the two sets of norms, but to cast some doubt on the current regime of intellectual property as an adequate frame for the new type of interactions in online environments. Revisiting the classic Arrow–Demsetz debate about intellectual property and the epistemological issues involved in assessing institutions, we suggest that seeking out new institutional arrangements aligned with the norms-in-use seems to be a more promising strategy in the new technological setting than attempting to reinforce the current legal framework. Moreover, such a strategy is less prone to committing the so-called ‘Nirvana fallacies’. As a secondary task, we try to cast some doubt on the two most common moral justifications of intellectual property as being able to ground the full extent of the current intellectual property regime. This work was supported by a grant of the Romanian National Authority for Scientific Research and Innovation, CNCS – UEFISCDI, Project Number PN-II-RU-TE-2014-4-1846. We are deeply indebted to our colleagues Cristina Voinea, Anda Zahiu, Maria Banu, Ingrid Niculescu, Alexandra Oprea, Toni Gibea and especially Emilian Mihailov and Radu Uszkai. We would also like to thank the two anonymous reviewers and the journal editors for their valuable feedback and suggestions. Arrow, K. (1962). Economic welfare and the allocation of resources for invention. In National Bureau of Economic Research, Inc. (Ed. ), The rate and direction of inventive activity: Economic and social factors (pp. 609–626). https://ideas.repec.org/h/nbr/nberch/2144.html. Accessed March, 12 2017. Hull, G. (2008). Clearing the rubbish: Locke, the waste proviso, and the moral justification of intellectual property. SSRN Scholarly Paper ID 1082597. Rochester, NY: Social Science Research Network. http://papers.ssrn.com/abstract=1082597. Lynch, M. P. (2016, November 28). Fake News and the Internet Shell Game. The New York Times. Retrieved from https://www.nytimes.com/2016/11/28/opinion/fake-news-and-the-internet-shell-game.html. Accessed September, 20 2017. Menell, P. (2003). Intellectual property: General theories. Levine’s Working Paper Archive 618897000000000707. David K. Levine. https://ideas.repec.org/p/cla/levarc/618897000000000707.html. Accessed January, 12 2017. Price, D. (2013). Sizing the piracy universe. Resource https://www.netnames.com/assets/shared/whitepaper/pdf/netnames-sizing-piracy-universe-FULLreport-sept2013.pdf. Accessed June, 12 2017. Sandberg, A. (2009). Intuitive pirates: Why do we accept file sharing so much? Practical Ethics - Ethics in the News. Resource http://blog.practicalethics.ox.ac.uk/2009/04/intuitive-pirates-why-do-we-accept-file-sharing-so-much/. Accessed May, 22 2017.